After Amazon Video and Netflix have taken a pioneering role of the dissemination of 4K content in recent months, finally standing before us is the introduction of the Ultra HD Blu-ray Disc. 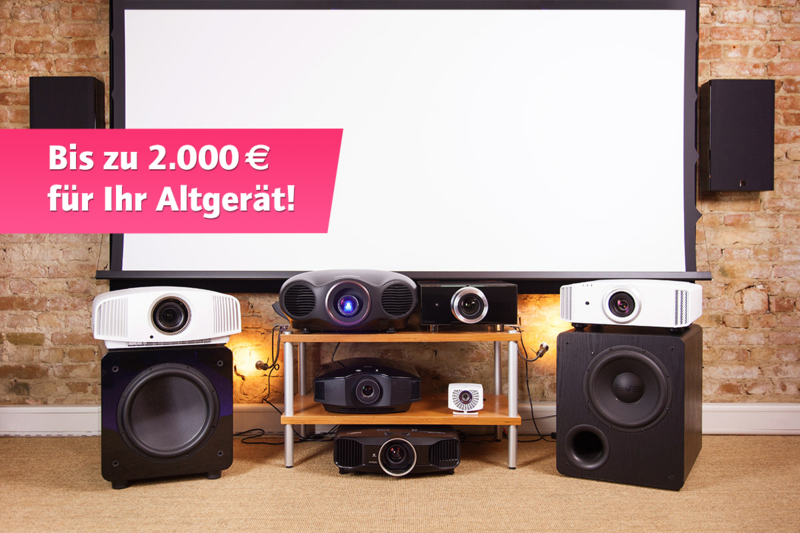 We see this opportunity as a chance to get you in on the action: until 31st March 2016, trade-in your old projector device and receive up to 2000€ cash back on the purchase of a new 4K projector from our selected specials. Check out the range of models to choose from the special selection in our online shop. We are available at any time to happily answer any questions you may have.